Jeff discusses your Facebook posts, Tweets, website comments, and even takes a trip “across the pond” for a new-found stash of iTunes reviews… sort of. Sit back, relax and enjoy the show! Jeff discusses your emails, Facebook posts, website comments, poorly done accents… and more. Sit back, relax and enjoy the show! More feedback and comments… but this time with a special guest, and a rivalry is born. You know the drill… Jeff discusses your emails, Facebook posts, iTunes reviews, Lane Line calls… and more. Sit back, relax and enjoy the show! More emails, Tweets, Facebook posts and website comments. 1) Three “Lane Line” voicemails other than Matt for next week’s chat will earn you a double episode week some time in November. 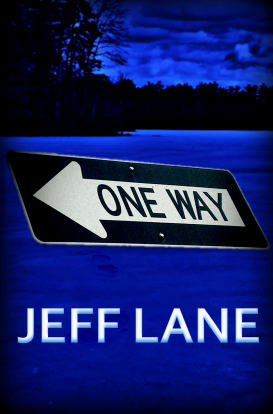 2) Over 100 People “liking” the Jeff Lane Audio Books Facebook page and / or over 400 people following @writerjefflane on Twitter by the end of November will earn the FREE release of my forthcoming novella Crush Depth. More emails, feedback, and another “Lane Line” call. Bonus Points still up for grabs! The feedback show with emails, Facebook posts and some voicemails from the “Lane Line”.